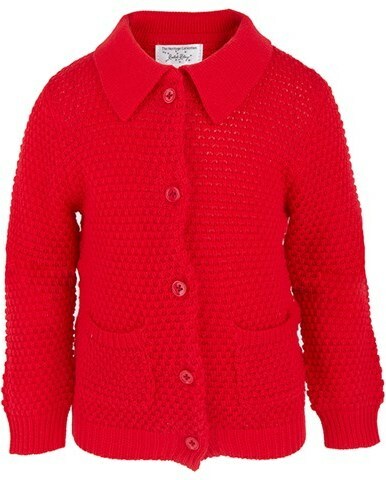 One of Kate’s favorite children’s clothing designers is Rachel Riley. 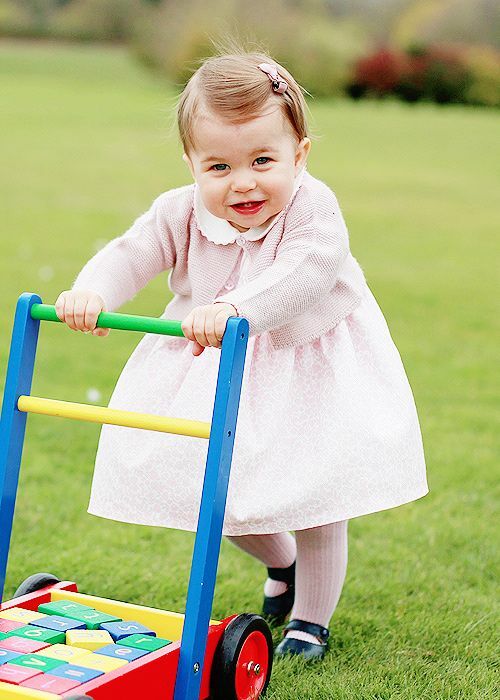 Since George’s birth, we have seen him and little Charlotte dressed in Rachel Riley’s traditional British clothing. 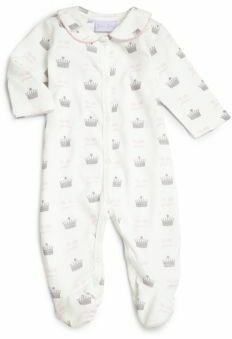 And because I love looking at baby clothes, I wanted to put this post together with some examples of the favorite royal children’s clothing designer. 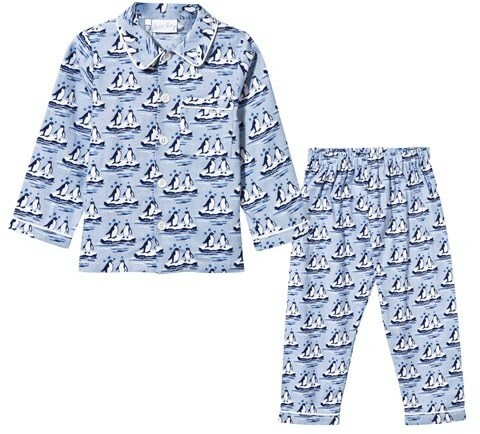 First off, here are some really sweet pajamas and nighttime onesies. 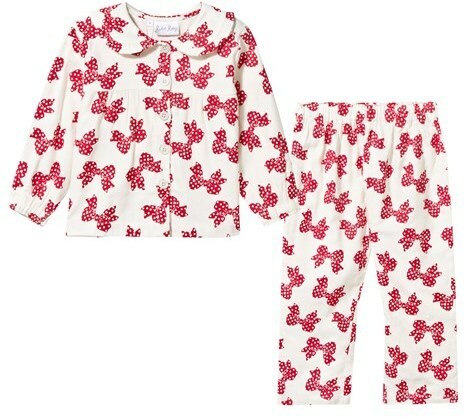 Some of the pajamas are on sale right now to make way for Spring clothes. 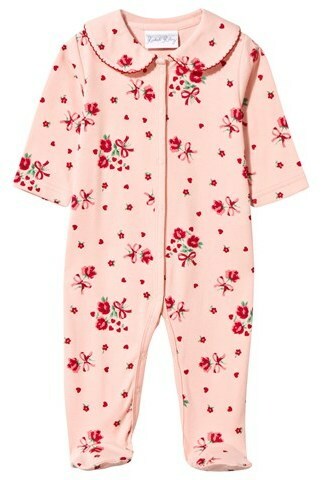 At 18 months old, I bet Charlotte wears something like this to bed. 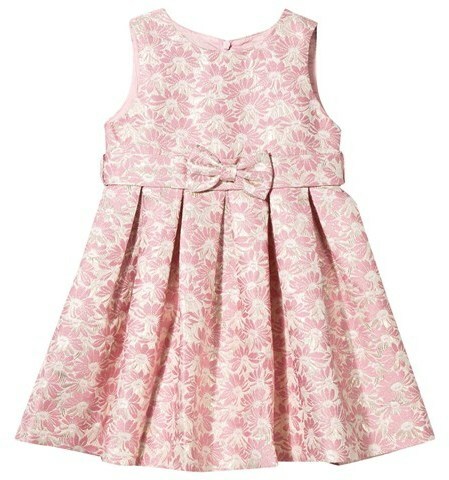 I think it is really sweet and feminine. 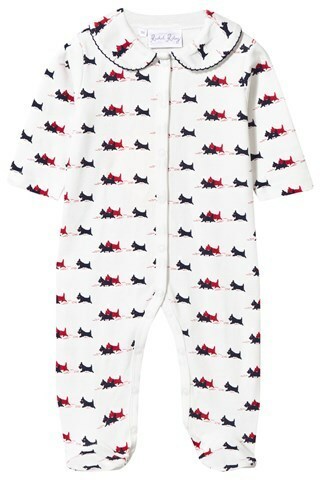 I like the Scotty dogs on this onesie. 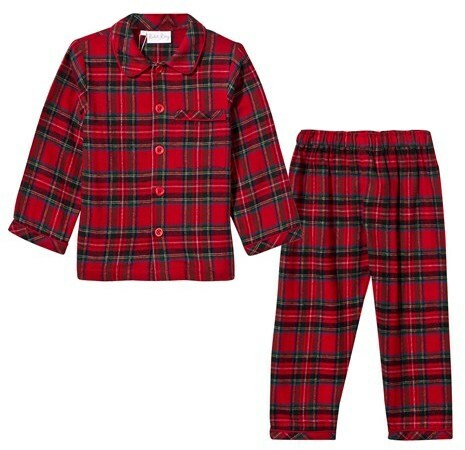 When George met President and First Lady Obama he wore traditional gingham pajamas. 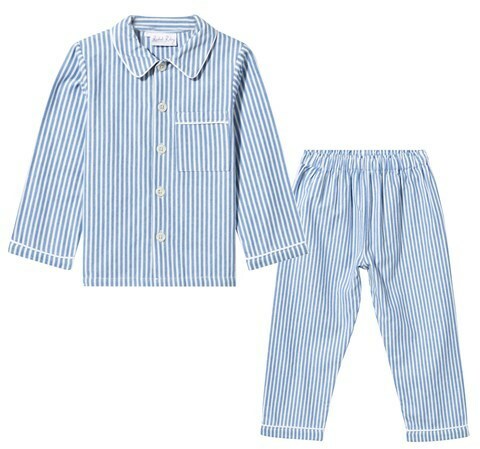 These pajamas are stripes but they are a very similar style. 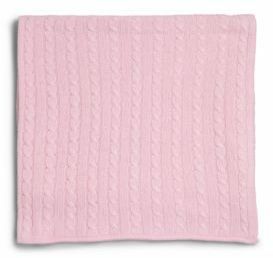 And they come in pink, too! 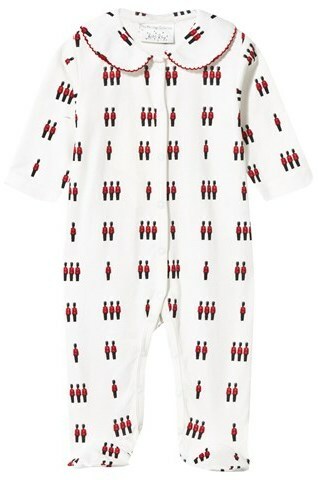 Now, for a baby shower gift, I think one of these onesies with the matching blanket would make a really sweet gift. 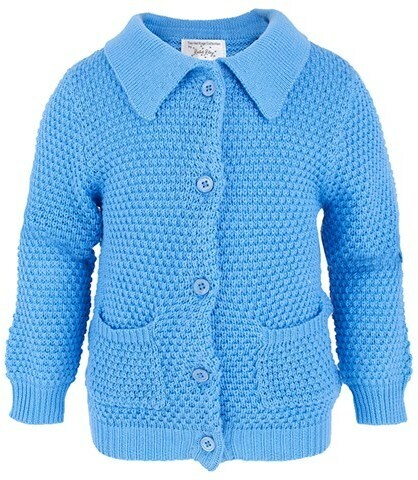 It comes in blue for a prince…. 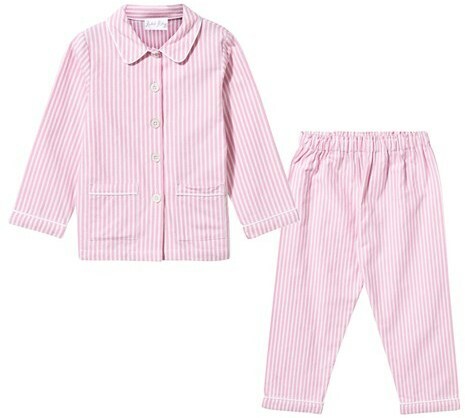 And pink for a princess. 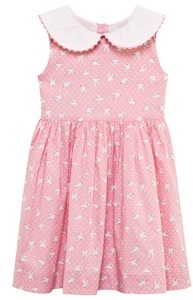 I just love looking at little girl’s clothes. Here are some sweet traditional dresses. 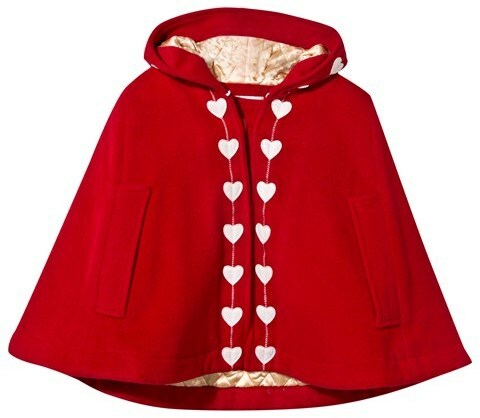 I like this cape with the heart pattern. 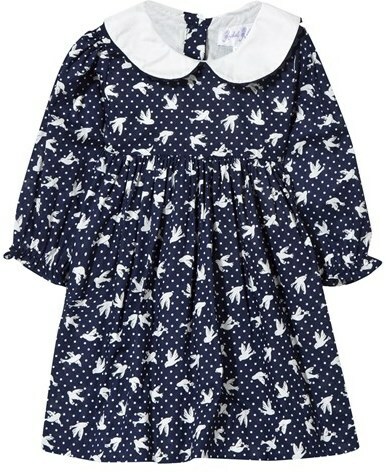 And these dresses are the style that Kate prefers when she dresses Charlotte. 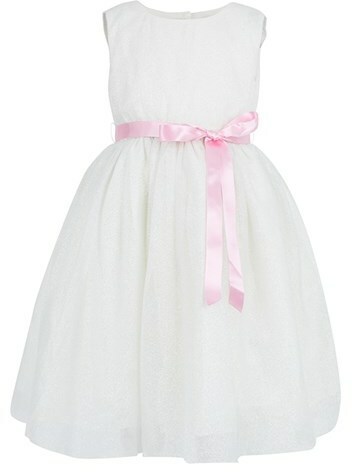 Usually Kate would put a white cardigan over a dress like this. 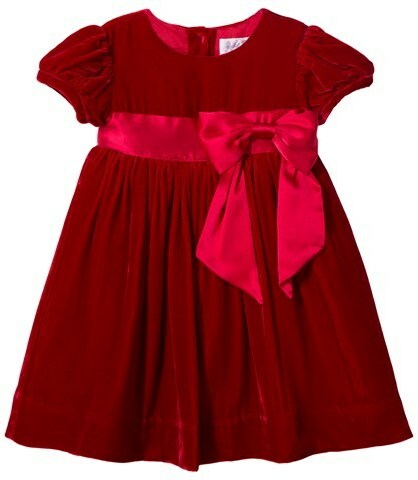 I love this red party dress. 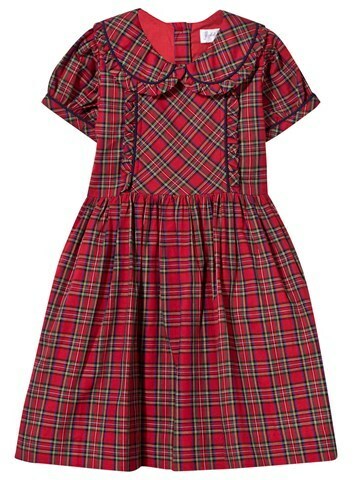 This dress reminds me of the ones that the queen and her sister wore when they were little girls during King George’s reign. 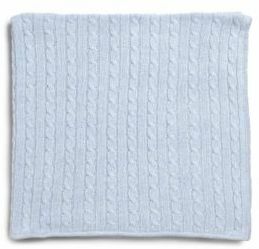 This is a nice little sweater that is unisex. 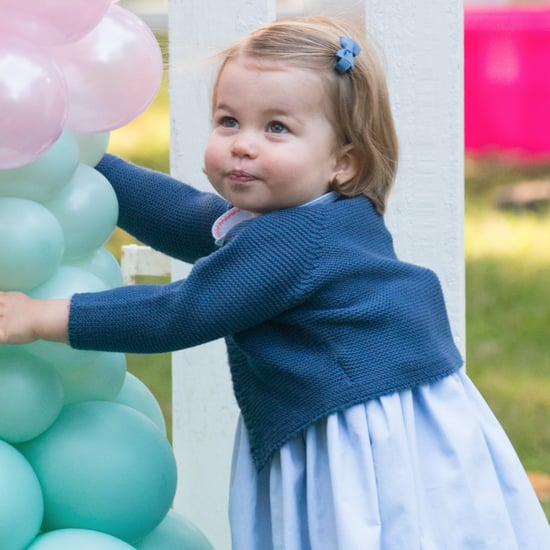 Charlotte has actually been seen wearing sweaters that are hand me downs from when George was a baby. 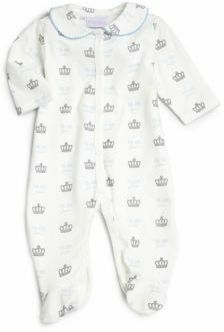 And here are the sweet overalls that Kate liked to dress George in when he was a baby. 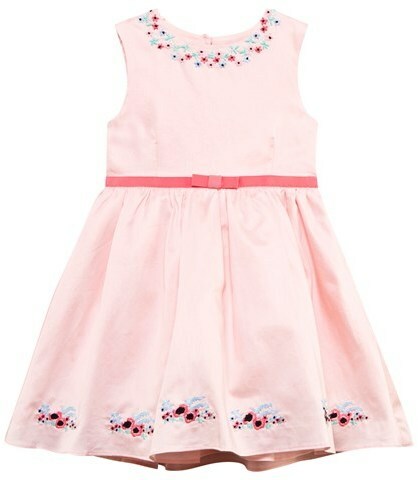 I would simply LOVE to see Charlotte wearing this dress for Easter with a pink bow in her hair and pink shoes. 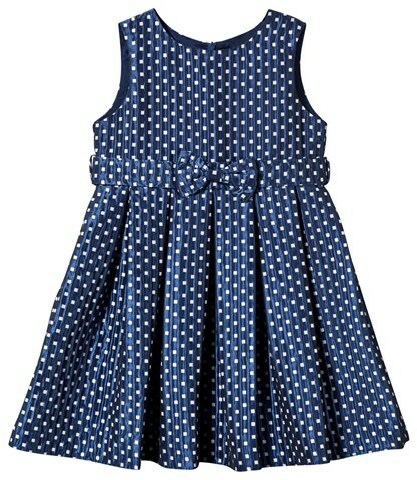 I think this may be one of my favorite dresses by Rachel Riley. It is just so sweet. 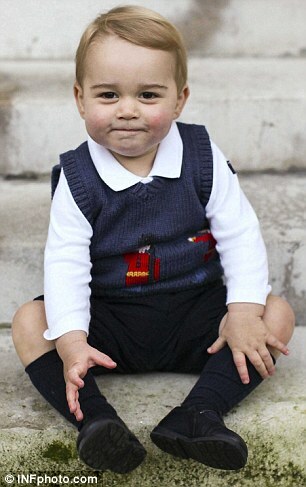 Kate likes to dress George the way Diana dressed William when he was a little boy which typically means a shirt, sweater, and shorts. Much has been said lately about how George always wears shorts, even on Christmas day during the winter. 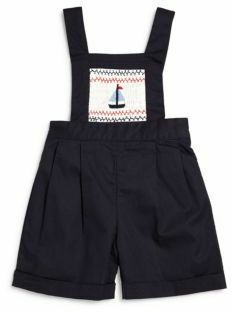 What I have read is that this is a traditional, upper class way of dressing boys. 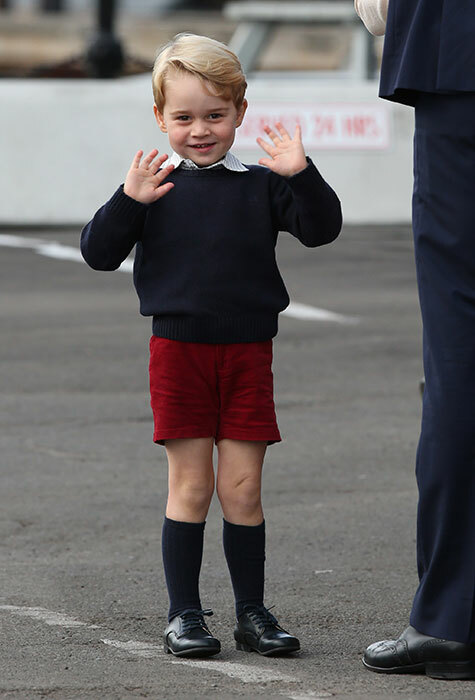 I think Kate wants to keep George in shorts until he is 8 years old or so. 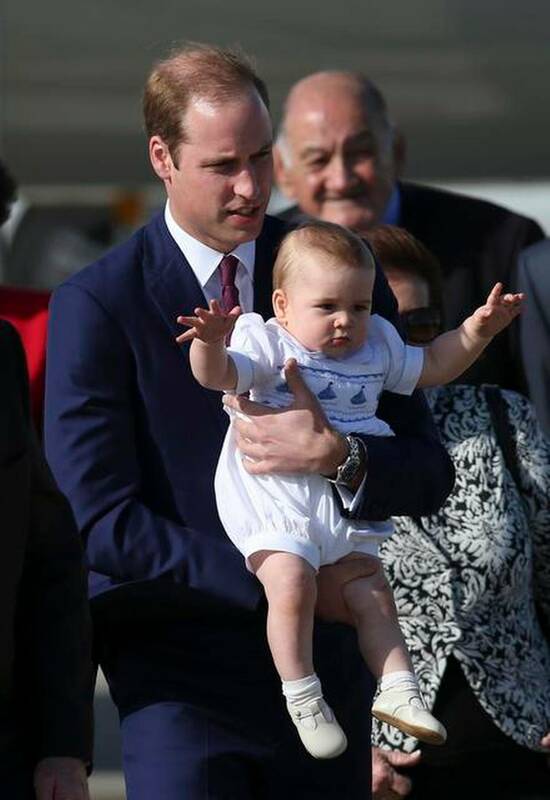 However, I have also seen pictures of William and Harry as small boys wearing long trousers so I am not entirely convinced this is the concrete rule that some people have made it out to be. 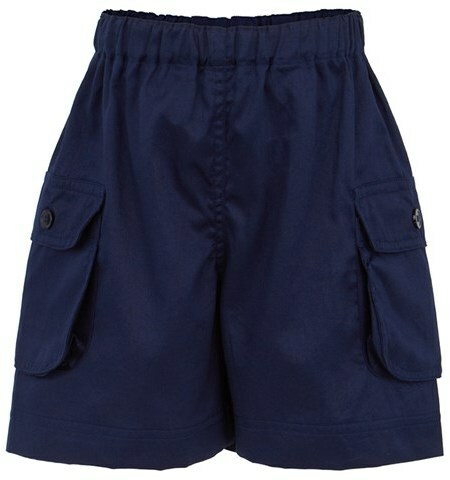 I have known boys who just prefer wearing shorts. Maybe George likes wearing shorts? 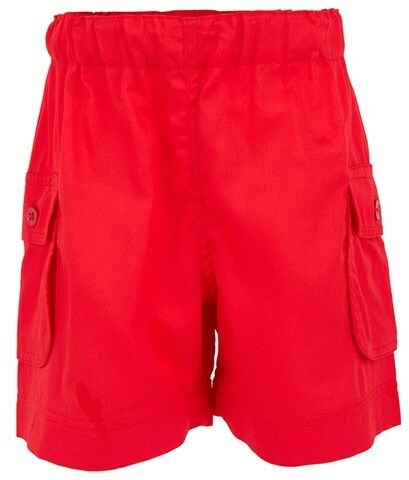 Here are some of the simple shorts that Kate likes to dress George in. 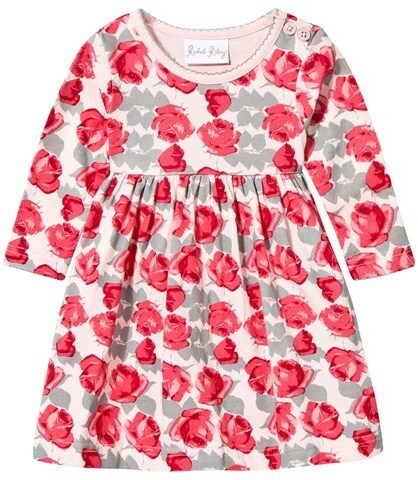 Another sweet little dress for a girl. 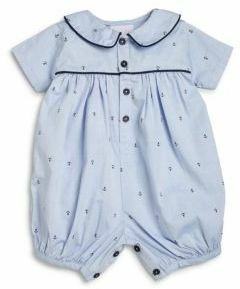 And the same style for a younger baby with matching bloomers. 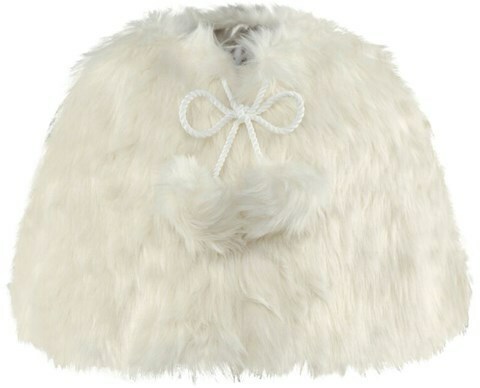 I have never seen Charlotte wear anything like this but I think it is really cute and looks nice and warm. 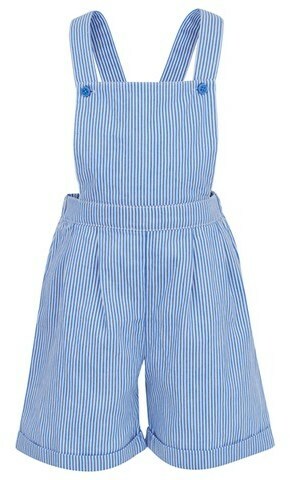 Rachel Riley has kept this pair of overalls in stock since George was seen wearing them a couple of years ago. 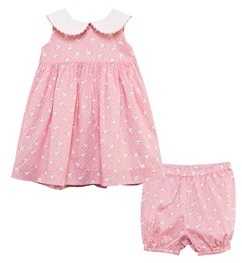 And one last cute little outfit. 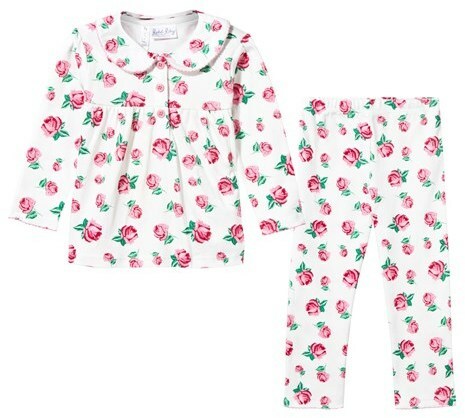 Hope you enjoyed looking at George and Charlotte’s clothes! Remember to follow me on Facebook.